WHAT: A clean-rinsing formula makes way for buoyant body and soft, seabreezy texture. WHO: All hair types and textures, especially those looking for body, texture and enhanced natural waves. HOW: Work a dab into wet hair, lather well and rinse thoroughly. 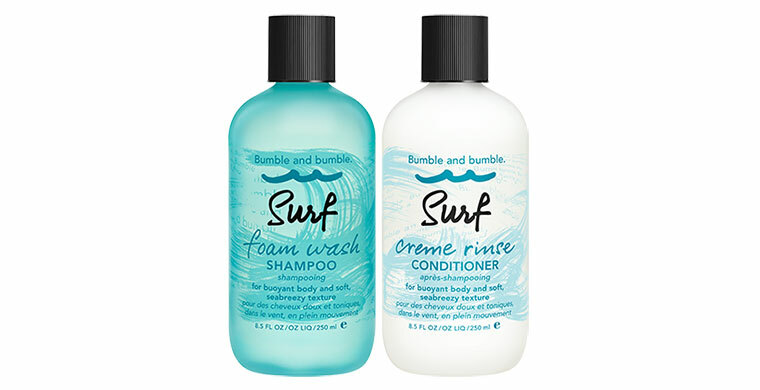 Follow with Surf Creme Rinse Conditioner. WHAT: This lightweight conditioning rinse imparts airy softness and texture. HOW: After using Surf Foam Wash Shampoo, smooth through and leave in for a minute or two. Rinse thoroughly. For nice waves, style with Surf Spray and air dry (in the sun) or diffuse.